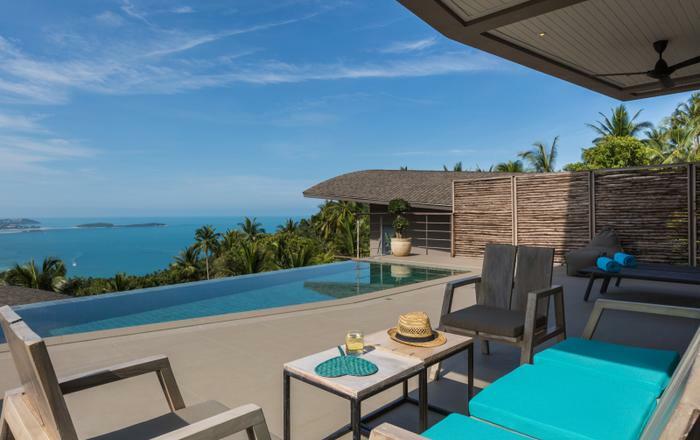 Yao Noi is a contemporary designed villa with captivating turquoise sea views throughout, offering guests a modern twist of island lifestyle in affordable luxury. Made up of 140 sq. 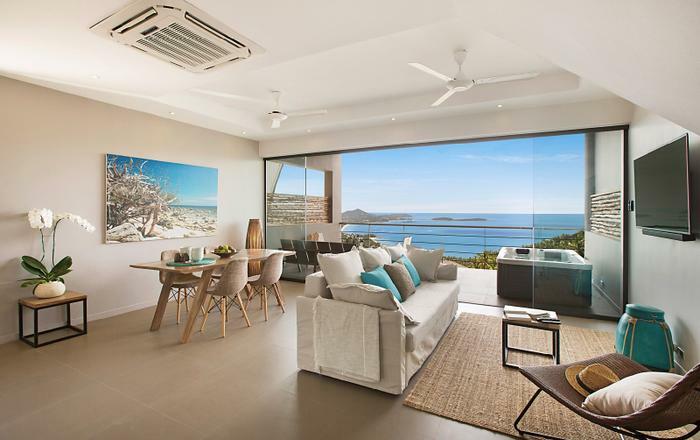 meters of living area designed to maximize space and the beauty of its location, the floor to ceiling glass doors are filled with the vibrancy of the island canvas and immerse guests in the breathtaking surrounding views. The spacious sundeck blends perfectly with the indoor living zone creating a seamless division between indoor and outdoor living. The open plan living area for 2 people offers intimate comfortable sofa seating with Smart HD TV with Netflix access and Wi-Fi throughout. 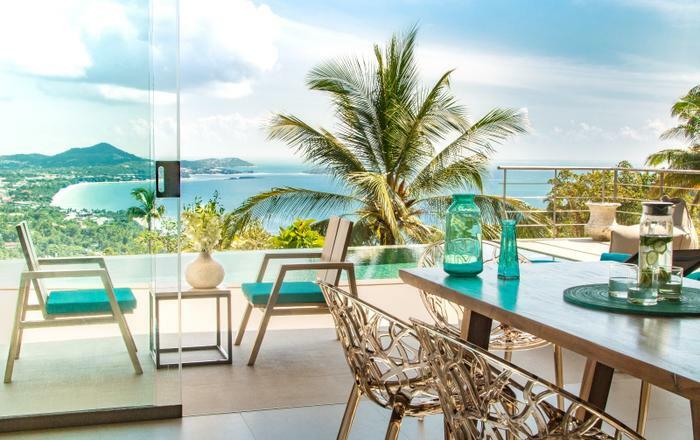 Dining is set for 2 and Yao Noi also offers a high spec western-kitchen with top end appliances, leaving guests with that home from home feel. 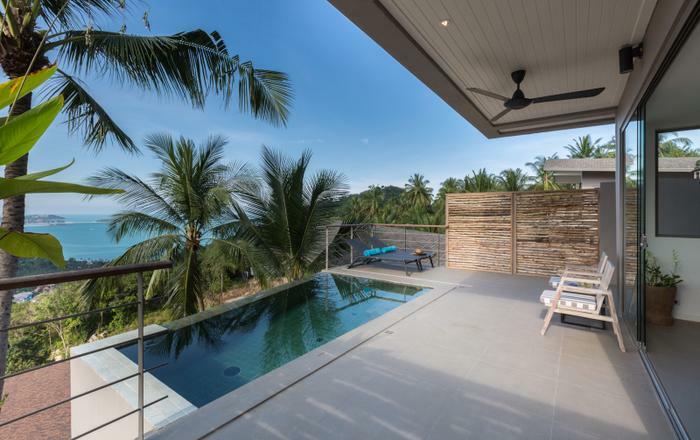 The private pool is ideally located close to the open plan living space with generous sundeck unfolding into the cooling Balinese tiled pool and endless sea views. 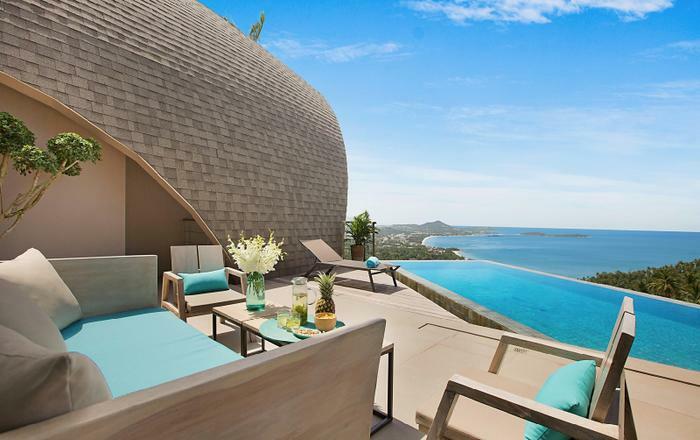 Yao Noi offers one upstairs bedroom sanctuary with contemporary interior style, bathed in gorgeous island vistas. The bedroom is spacious by design with king sized double bed, open plan wardrobe area and floor to ceiling glass doors onto the private terrace, with sun loungers for 2. The generous en-suite bathroom also has the luxury of sea views and has been cleverly designed to feature an office space and walk in wardrobe. Each bedroom has climate-controlled air conditioning, ceiling fan and personal safe. 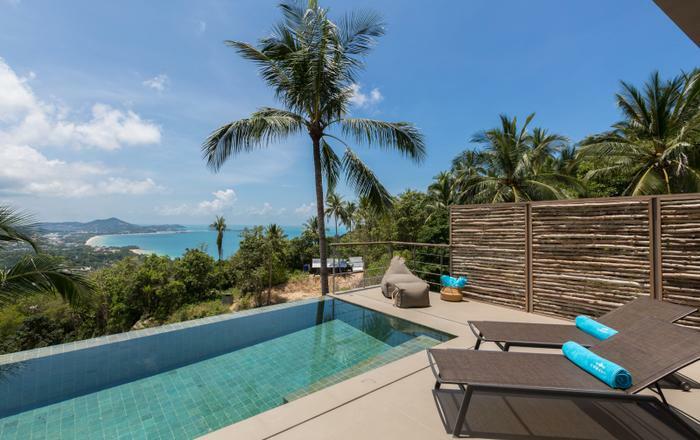 With a desire to ensure that all your holiday expectations are met, Villa Yao Noi offers a variety of in-villa services that can be tailor made through the team of multi lingual Villa Managers, offering a variety of concierge services, making for unforgettable holiday experiences. Villa Yao Noi also offers a snacking menu, ideal for those moments when just a little something is needed whilst relaxing by the pool with no desire to move anywhere.